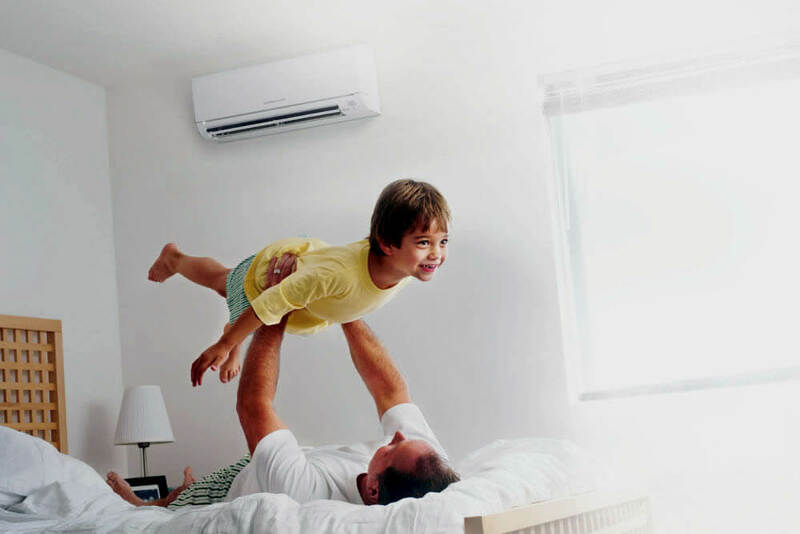 Mitsubishi Electric is the industry leader in split-ductless air-conditioning technology—period. 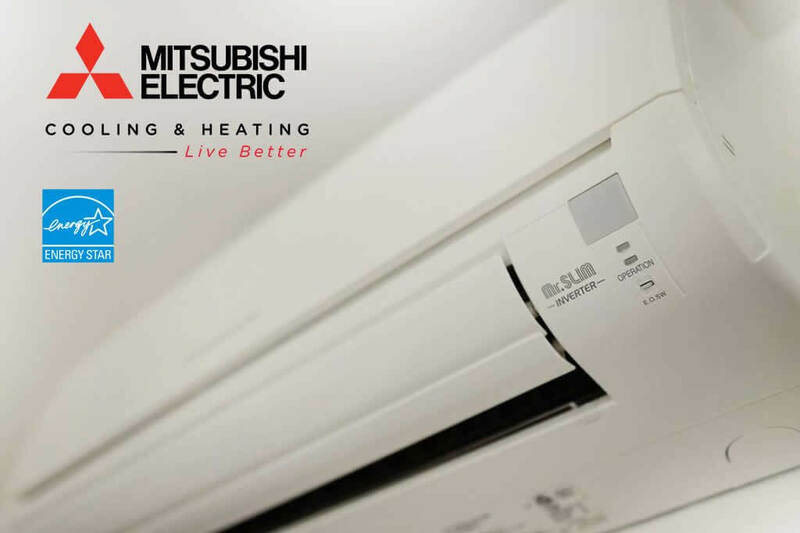 Compare and you’ll see that no one surpasses the Mitsubishi Electric brand’s performance for quiet, easy-to-use, and energy-efficient operation. 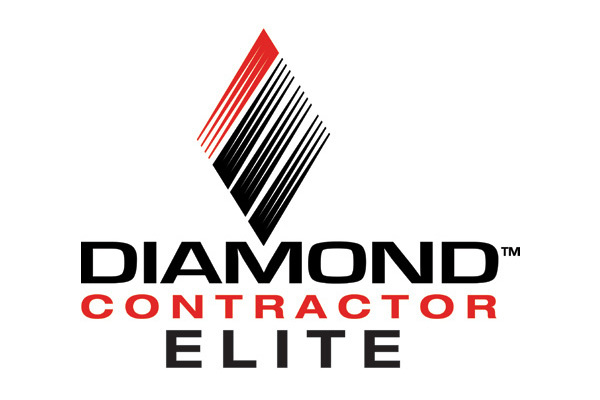 And because our split-ductless technology carries the Mitsubishi Electric name, you know every product is built to last. 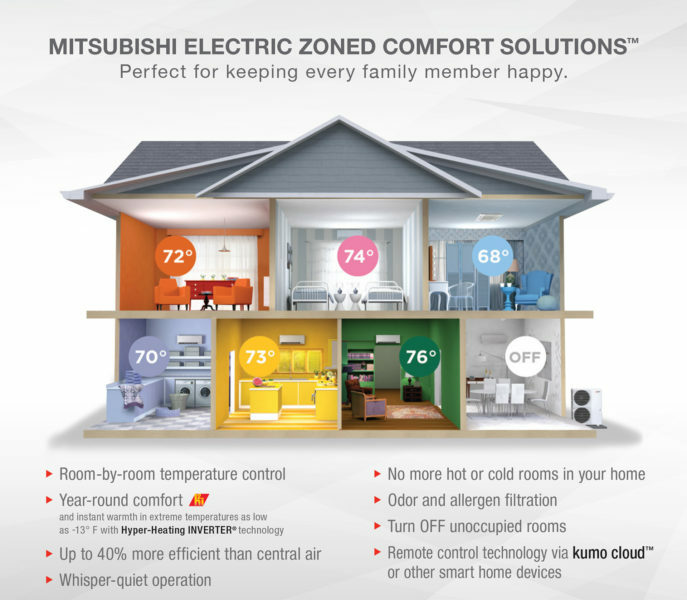 The bottom line is, Mitsubishi systems deliver the ultimate in comfort control for your home or office. It’s true today and will be comfortably evident for years to come. 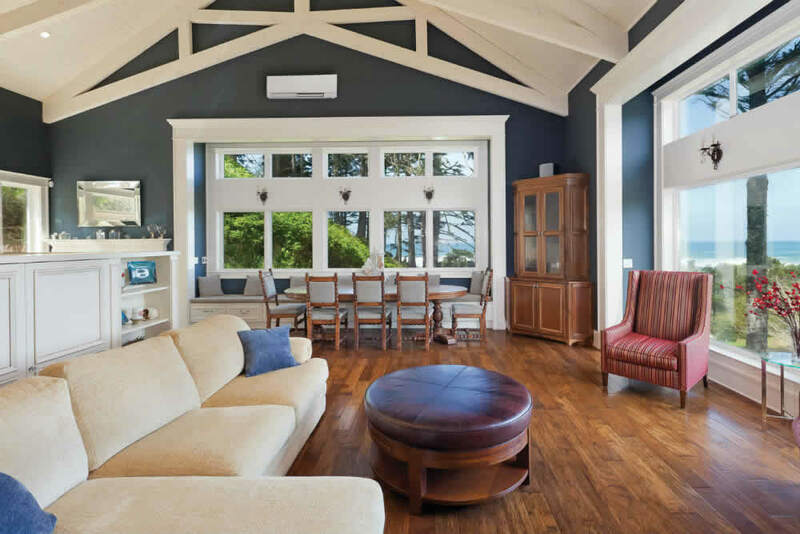 If a room is too hot or too cold, Mitsubishi Electric Cooling & Heating can handle it! 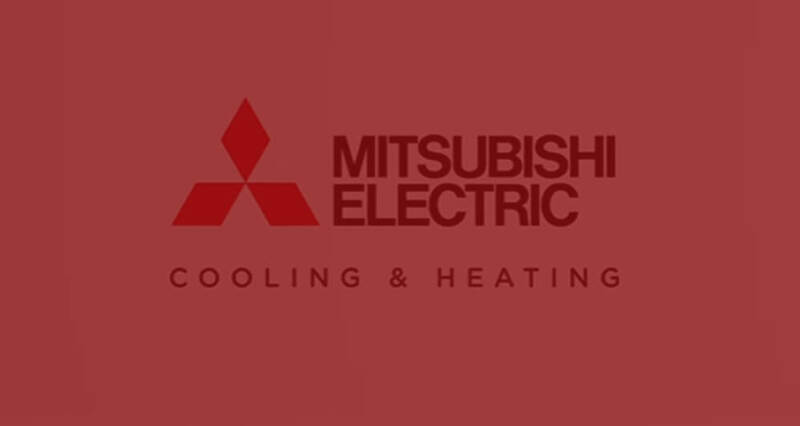 Mitsubishi split-zoning systems are specifically designed to improve the comfort level in an uncomfortably hot or cold room of an existing building. Because they don’t require ductwork, they’re the perfect heating and cooling systems for renovating older buildings that were constructed before air conditioning was available – even those with plaster walls and brick facades. The versatility and variety of applications for Mitsubishi Electric systems are virtually unlimited.